The Kärcher FC5 Hard Floor Cleaner is another great addition to the line of bright yellow products we all know and love. 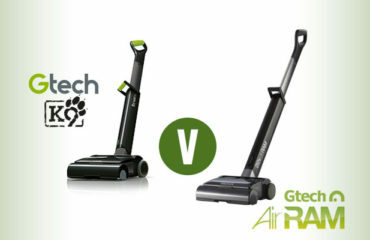 It is designed to solve the problem of vacuuming and mopping by combining both elements in one product. So, without further ado, let’s dive into this in-depth review in which you will find out if this is what you need for keeping your floors sparkling clean. 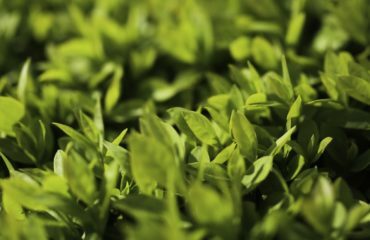 Is it the right product for you? The FC5 hard floor cleaner can really do it all, even in the dirtiest of homes, but let’s take a look at what makes it so special. 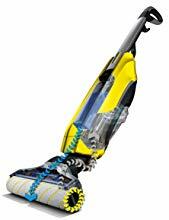 Say goodbye to the inconvenience of vacuuming before mopping. 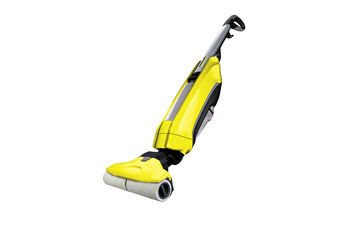 The FC5 features the Karcher’s pattented SmartRoller technology, allowing it to mop and vacuum at the same time. 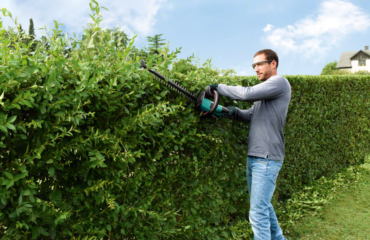 Additionally, it can pick up both wet and dry dirt. The SmartRoller also removes any excess water, so you don’t have to worry about waiting forever for the floor to dry – you’ll have dry floors in less than 2 minutes. This is going to save you a lot of time and effort and from feedback so far is a fantastic feature. This is easily the best function that the Karcher hard floor cleaner has. No longer will you have to stop mid-work to clean your mop. The FC5 vacuum function automatically removes all the dirt or liquids from the rollers, leaving you free to continue cleaning. What’s more, the rollers are made with high quality microfiber, and can be easily taken off and washed in the machine if necessary. Can you imagine how many times you would normally be going back and forth to the sink or bucket to squeeze out the dirt? I personally find that I end up making a mess when I splash the dirt everywhere, so this function is a god-send to make my life easier. By now, you’re probably thinking that all of these feature must make this cleaner very heavy. Well, you’re not wrong! 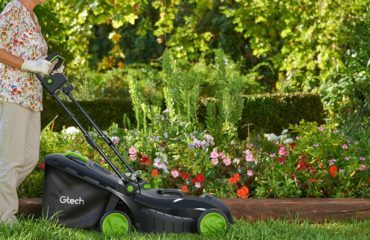 The Karcher FC5 weights little more than 10 pounds (4.5kg). However, the forward rotating rollers propel the machine across the floors with ease. All you have to do is guide it. And for most people, less than 5kg is easy enough to handle. It’s around 5 bags of sugar. The FC5 works with two water tanks. One is for the clean water and detergent, and the other one is for the dirty water. The clean water tank can be filled from a tap, and has a 400ml capacity, more than enough to clean the whole house without stopping to refill it. The dirty water tank on the other hand is smaller and has a 200ml capacity. It’s very easy to remove it and empty it without coming into contact with the dirty water. Just make sure to keep an eye on the dirty water tank and empty it often. 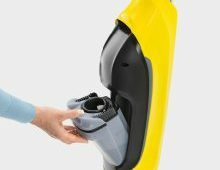 What surfaces can the Karcher FC5 clean? The Karcher FC5 hard floor cleaner only lets out a small amount of water to the rollers, meaning that it can be used on any surfaces that can withstand small wipes of water, such as laminate, tiles, sealed hardwood, linoleum, stone floors, cork, and oiled and waxed parquet. 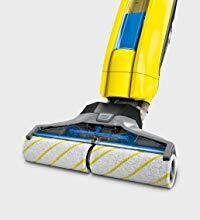 Additionally, the position of the roller means that it can get right to the floor edges, and the flexible hinge on the cleaning head makes it easy to clean under tables and around tricky furniture. Most modern homes have a large amount of hard floor nowadays so this hard floor cleaner should make short work of your cleaning duties. A powerful cleaner with two functions in one – what’s not to like? There are many satisfied customers out there that enjoy how much time the FC5 saves them. 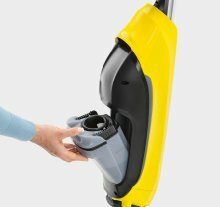 The only unpleasant surprise customers have come across is how much dirt actually came out of their floors when using the Karcher hard floor cleaner! Besides the strong pull of the machine, there’s really not much of a downside to this hard floor cleaner. 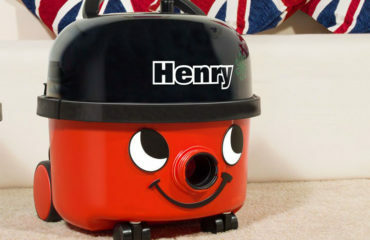 Sure, it’s not as powerful as a vacuum cleaner, but it is not supposed to be. 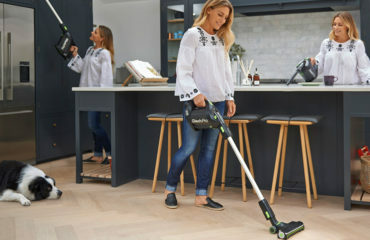 What’s important is that you don’t have to take out your big vacuum cleaner just so you can mop later – you can do it all at the same time, and with great results as well. 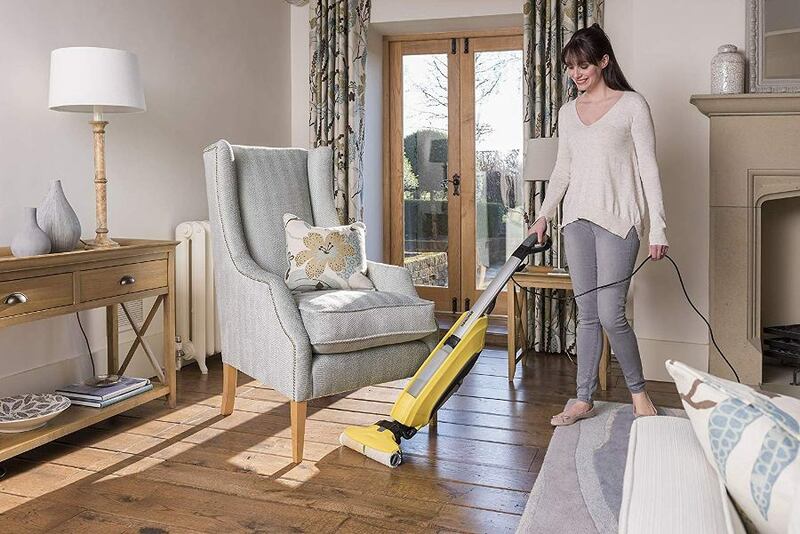 If you live in a home with multiple rooms with hard floors, the Karcher FC5 is just the thing you need. 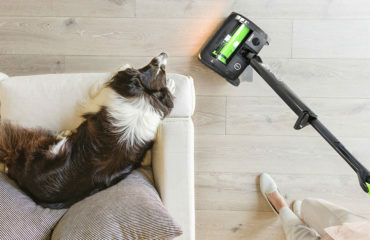 Its self-cleaning function will allow you to clean your floors in just a few minutes without putting too much effort. 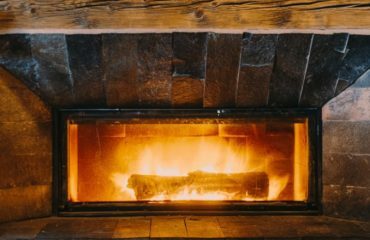 Furthermore, your floors will be cleaner than ever, and you won’t have to wait forever and worry about stepping on wet floors, as the floors dry in less than 2 minutes. All-in all, the FC5 hard floor cleaner will save you precious time as you won’t have to vacuum before cleaning. 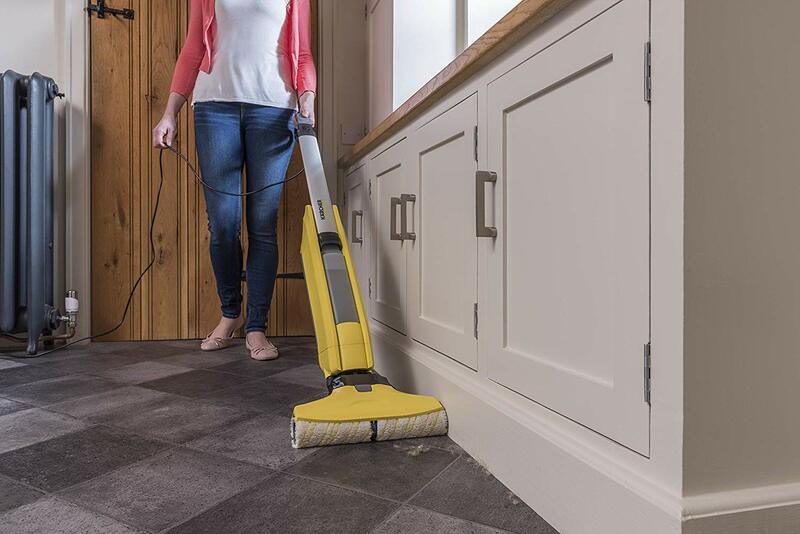 Take the Karcher FC5 out of the cupboard, go over your floors once, and job done. You won’t even need to clean a mop or empty out a big water bucket – the cleaner features self-cleaning rollers and its water tanks are very easy to remove and empty. A great choice for anyone with a busy household and multiple hard floors. 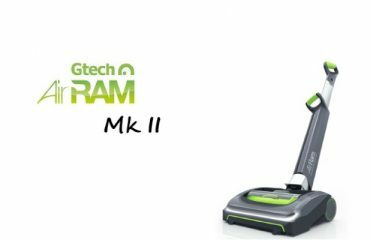 A powerful and all-round hard floor cleaner that vacuums at the same time as it cleans. 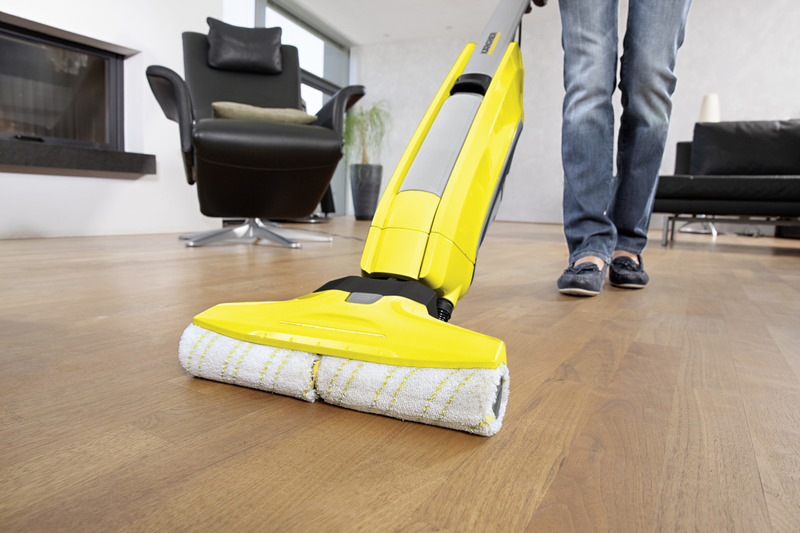 Additional resources to help you get the most out of your hard floor cleaner.